They procrastinate. They hold off the pain until they just can’t anymore. Or worse, they grind their teeth (not a good thing) and accept the pain, choosing it over sitting in the “dentist’s chair”. One of the reasons for this could be the proliferation of myths about dental procedures. One such procedure is the root canal. The words “root canal” does sound a bit daunting. Especially if you’re not quite sure what it’s all about. A root canal is basically a procedure (usually done in one or two visits to the dentist) that is used to treat and save an infected tooth. Nothing nefarious goes on. We promise. Whatever you may have heard about a root canal, that kept you away from your dentist, is most probably a myth. Here are the common myths about root canals that you should know so that you don’t “forget” about your next dentist’s appointment. Previously, before the advancements in technology, that just may have been the case. But not anymore. The point of having a root canal is to help relieve the pain caused by an infected tooth. With the help of a local anaesthetic, which numbs the tooth and the area around it, the root canal procedure is pain-free. If you’re feeling a little anxious about the procedure, the dentist can give you some calming medication (think laughter-lots of laughter). If the tooth pulp is damaged or infected, a root canal is needed to remove the damaged tissue from inside the tooth. A “pimple”, called a fistula, will be found near the damaged tooth and is actually an exit point through which the pus from the tooth drains. The fistula prevents pressure from building in the tissue, which is why you don’t feel pain. However, the infection must still be treated to prevent nearby tissue from becoming infected. Where it is possible to save your natural teeth – you should go with it. Having your natural teeth intact allows you to continue eating all kinds of foods without needing to limit your options based on what can be easily chewed. Root canal treatment is a cost-effective way to treat a tooth with infected pulp. Extraction, along with the fitting of a bridge or dental implant, can be more expensive. This really isn’t true at all. This myth was based on century-old research that has long since been discredited. According to this research, bacteria can become trapped in the teeth during a root canal, causing all kinds of diseases, ranging from arthritis to kidney disease, to heart disease. However, bacteria are always present in your mouth and cannot be considered an “infection”, especially when it doesn’t necessarily affect your health. No scientific evidence can link root canal treatment to illness or disease. 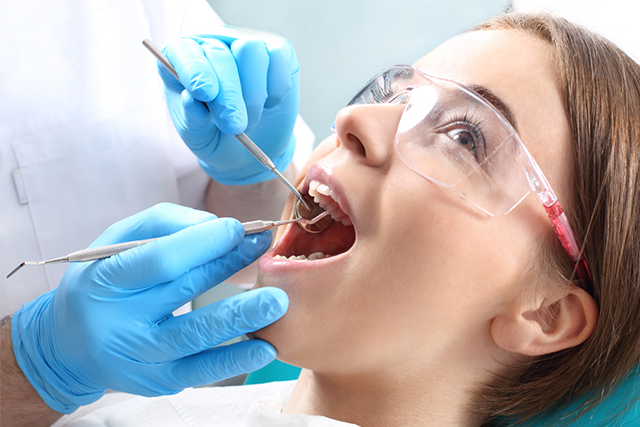 During a root canal, your dentist will remove the infected/ damaged pulp from inside the tooth. The rest of the tooth remains intact. This myth originated after patients experienced tooth-breakage within months of a root canal. The removal of the nerve from inside the tooth stops the blood supply from flowing inside the tooth. As a result, the tooth becomes brittle. The filling that is used to close the tooth after the root canal must be able to withstand the forces from grinding and chewing, otherwise, the tooth may break. Failure to have a crown placed on the tooth can result in the tooth breaking. So, it is the restoration of the tooth and not the actual root canal that may cause the tooth to break. If restoration is done correctly, there shouldn’t be any problems. Following proper restoration, good dental practices and regular visits to your dentist, your natural tooth, saved by root canal treatment, could last you a lifetime. Although a root canal requires an x-ray to be done, radiation exposure is minimal, with the x-ray aimed at the mouth and not the abdomen. Furthermore, the dentist will place a lead apron over the patient’s abdomen. The anaesthetics used are pregnancy-safe. Root canals are therefore safe for pregnant woman.